First day of October! While out shopping on this crisp fall day I picked up a few rings. Gold and glitzy jewelry is always fun and adds some pizazz. 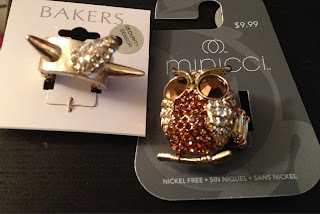 The spiked and jeweled ring is from Bakers and the owl ring is from Payless.